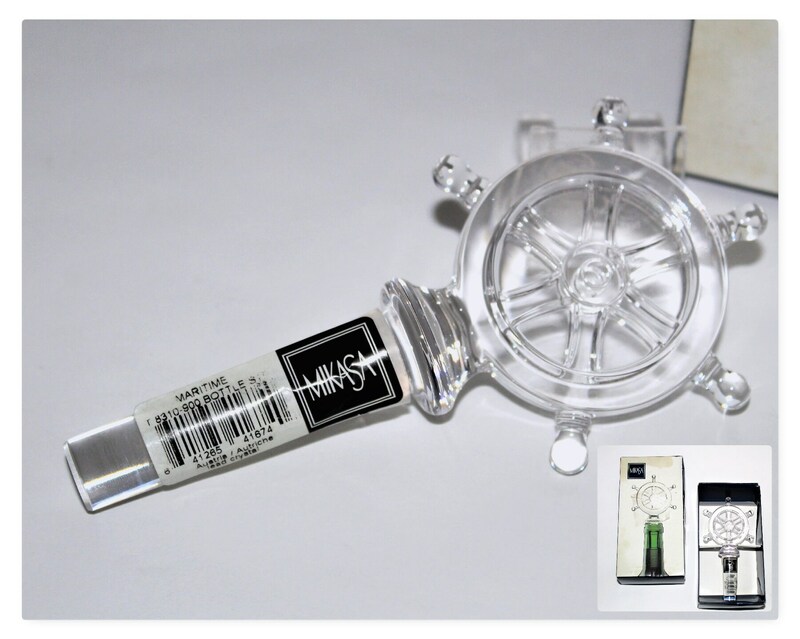 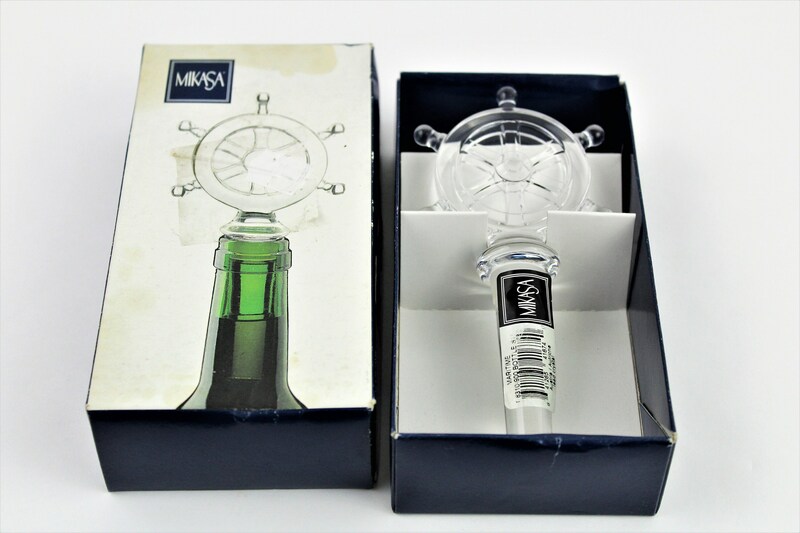 We have for sale a Vintage Mikasa Austria Lead Crystal Maritime Ships Wheel Bottle Stopper. 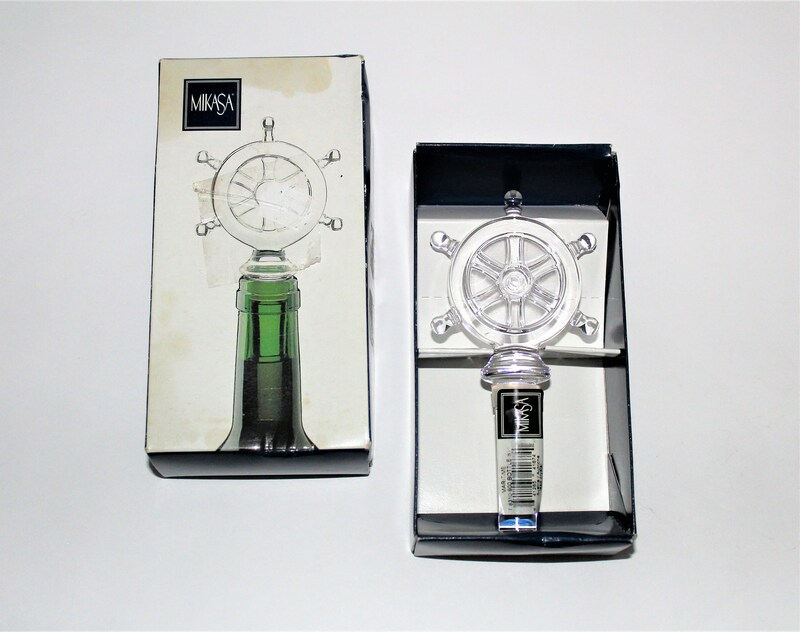 Wonderful nautical wine bottle stopper made by Mikasa of Austria. 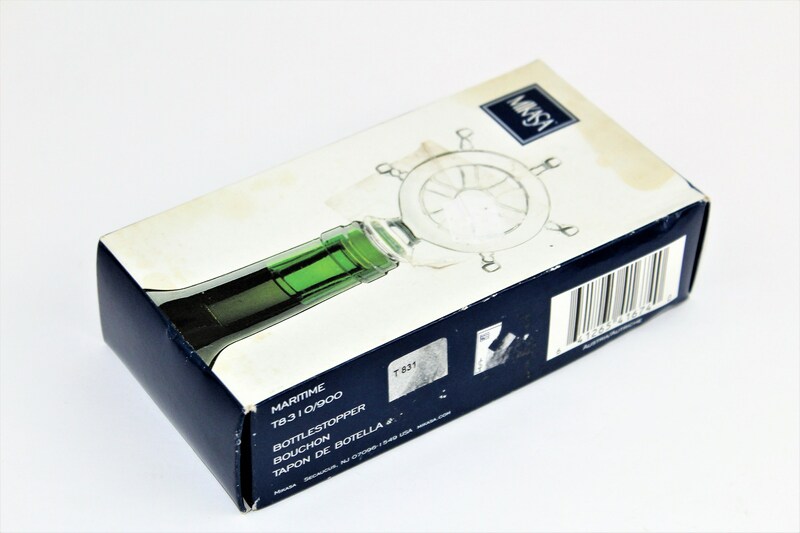 This is made of fine Lead Crystal and is unused in the original box. 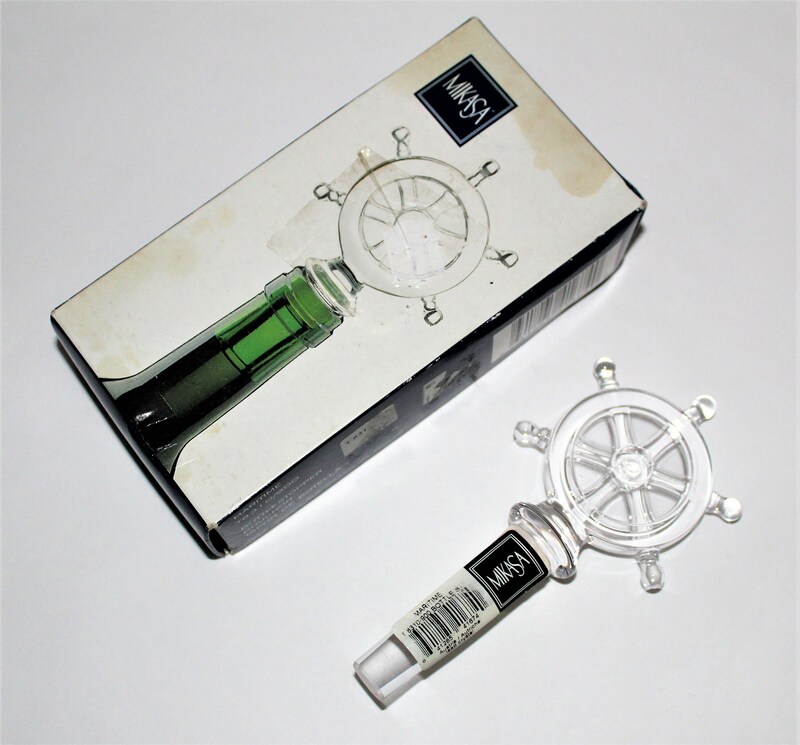 Perfect gift for the beach house or cabin owner. 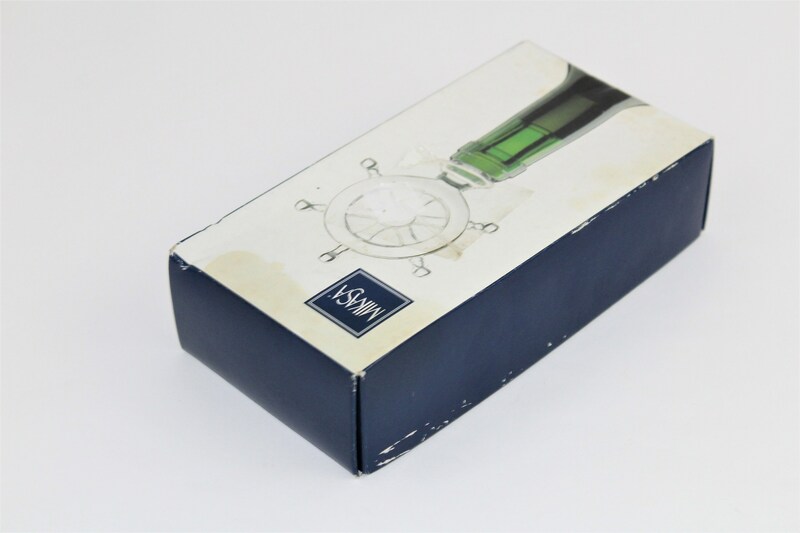 Condition: Very good (unused) box shows wear and soiled.